Apacs super cushioned P.U. 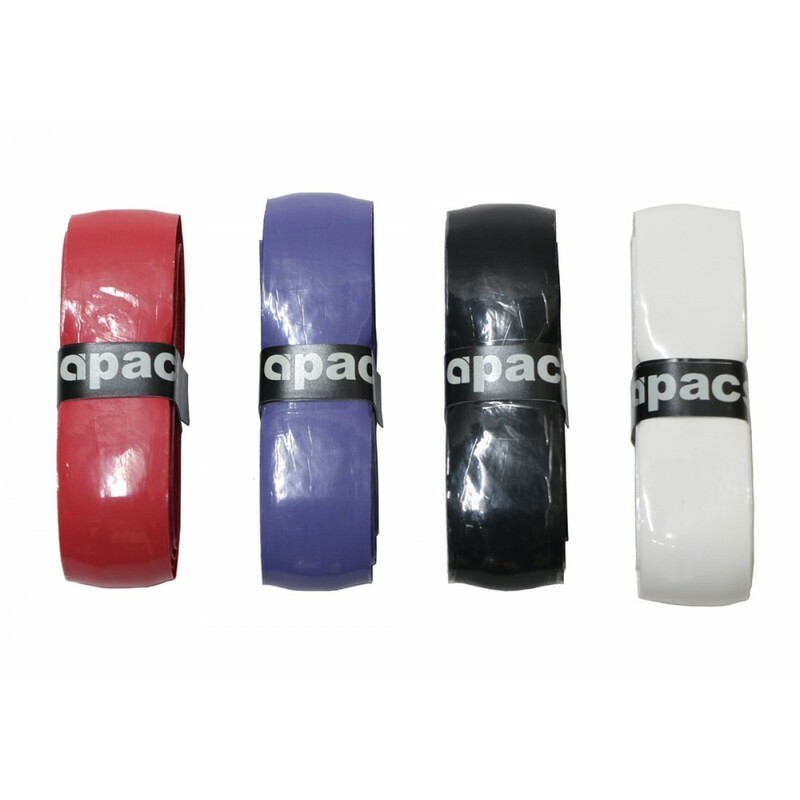 grip in a selection of four dark solid colours. The attractive and convenient display box contains 12 grips, 3 in each of the following colours black, red, purple and white. Long lasting cushioned grip at a unit price of £1.33, amazing value.